With "City Lights", South Korean artist Justin Oh follows up on his previously released single "Where The Lights Fall" on Arrival, taken from his acclaimed "The Time Traveller" album. 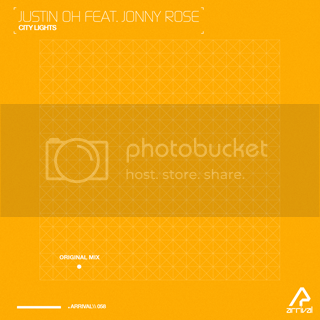 Justin has teamed up with US vocalist Jonny Rose for this single. A truly haunting bassline and a frisky beat introduce the track, and mesmerizing background synths intrigue the listener. The break features the introduction of lush synth lines, and Jonny's refreshing vocal emerges in a beautiful context. The song continues with a high level of energy, as well as the pumping bassline and captivating vocal stab effects. Above & Beyond's "Group Therapy", Beatport Top 10 Trance Tracks Chart, Andy Moor, Kenneth Thomas, Alex M.O.R.P.H.